Contacts can be deleted from the system via the UI or via the API. 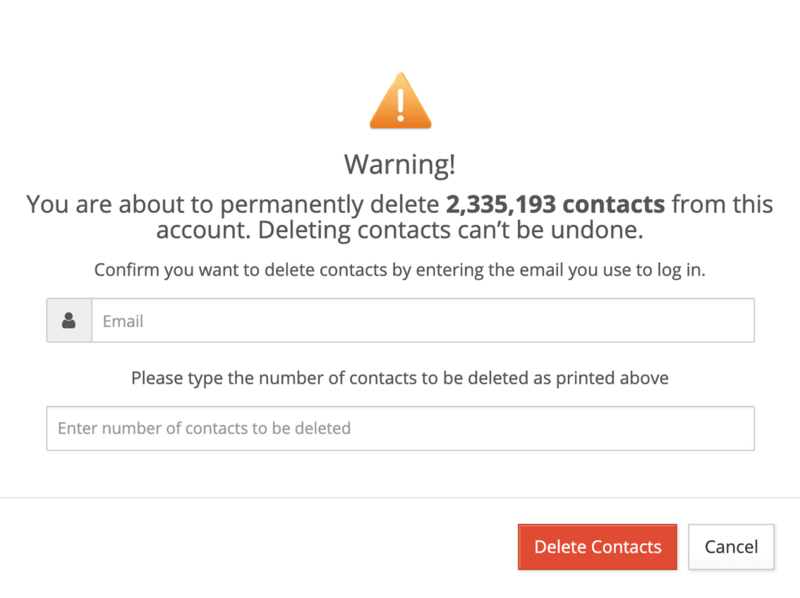 Note that this action will permanently delete contacts from your system. To remove contacts from a list only and keep them in your system, viewing and editing a list. Note that all contact attributes values will also be deleted by default. You have the option to retain or anonymize these values on a per attribute basis. Learn more about customizing attribute access and deletion. In the UI, navigate to Contacts › Search Contacts. Create an audience rule to determine the contacts to be deleted. Learn more about creating an audience. 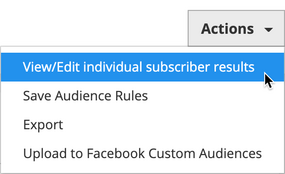 Under the Actions menu, choose "View/Edit individual subscriber results". 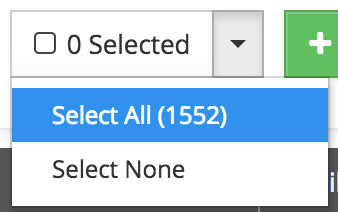 Select all contacts to be deleted. In the UI, navigate to Contacts › Audience Rules. 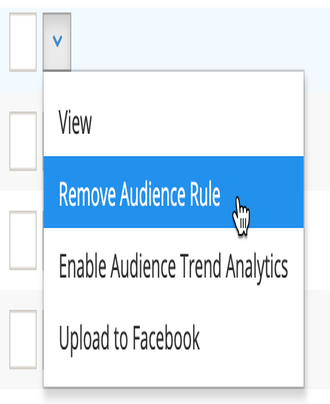 Select the desired audience rule by clicking on one from the list. Under the Actions menu, select "Delete From System". You are able to delete a single contact with the DELETE <path>/contacts/ method. Learn more about contacts and the API. Note: Deleting an audience is not supported by the API. Only one contact may be deleted per API call.